The Easton Police Department raised $1,620 for Cops for Kids with Cancer by not shaving in November. EASTON, Mass. -– From the chief to the newest officer, they donned beards to raise money for children with cancer. 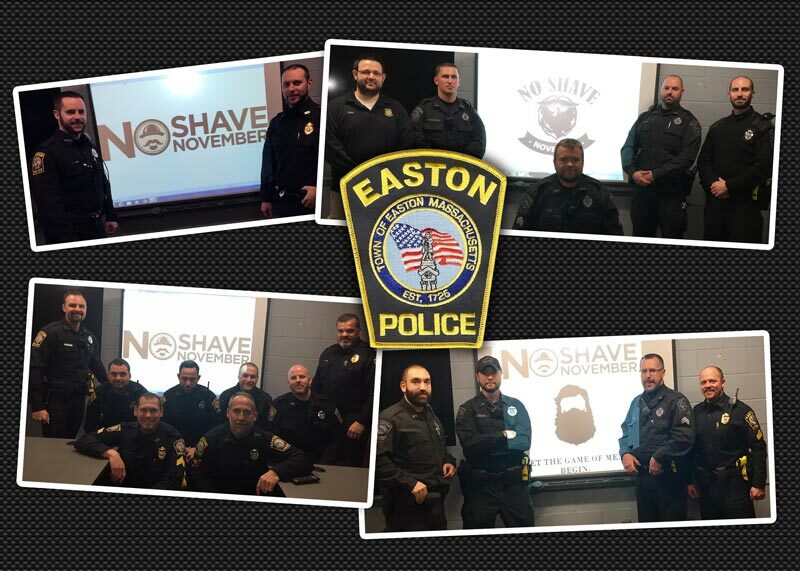 The Easton Police Department participated in No-Shave November throughout the month, an event aimed at raising awareness to cancer by growing hair, which many cancer patients lose. The organizers of the month-long event encourage participants to donate the money they would usually spend on shaving supplies. Easton police were able to raise $1,620, which was donated to Cops For Kids With Cancer, a Canton-based organization that returns more than 94 percent of funds raised to families of children with cancer. The organization has given over $2 million to more than 300 families in need in the past four years. “It was a great way to build camaraderie and have some fun while raising money for a great cause,” Boone said.